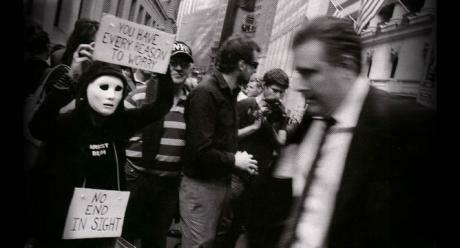 This channel will feature live streams from global non violent revolution spreading across the globe, with the first broadcasts from Wall Street Occupation in NYC that will start on Saturday, September 17, 2011. The channel will also feature live stream from solidarity protests and events in Spain, Greece, France, Belgium, Iceland and other places around the globe. Looking interesting - anyone around NYC or other hotspots today? Stream seems to be from Greece at the moment.